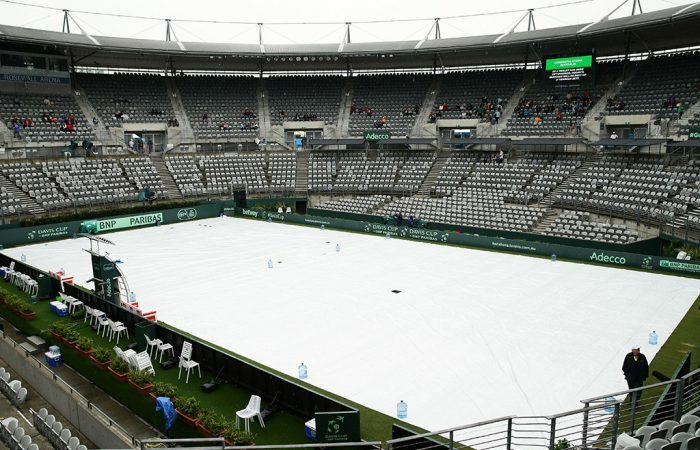 Despite the last day of Australia's Davis Cup tie against Slovakia being lost to rain, captain Lleyton Hewitt is optimistic about the team's chances of success now that they have secured a World Group berth in 2017. Lleyton Hewitt is backing Nick Kyrgios to be pushing for world top-10 status when Australia begin their quest for Davis Cup glory in 2017. 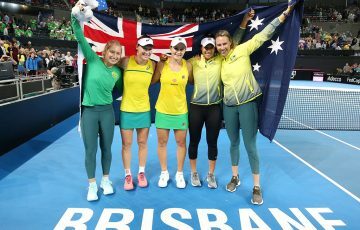 With Kyrgios and Bernard Tomic teaming for the first time since 2013, Australia secured their place in the elite 16-nation World Group for next year with an emphatic 3-0 playoff win over Slovakia in Sydney. 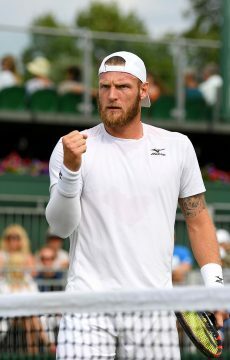 Sam Groth and John Peers sealed the tie with doubles success on Saturday before Sunday’s reverse singles dead rubbers were washed out. Champions 28 times but not since 2003, Australia will now anxiously await Thursday’s draw in London to learn who they play in the first round next March. 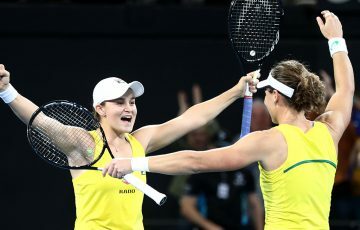 Likely to narrowly miss a seeding, the Hewitt-captained Australians are hoping to avoid a horror away tie against a Swiss outfit potentially led by Grand Slam giants Roger Federer and Stan Wawrinka. Neither Federer or Wawrinka made themselves available for Davis Cup play in 2016. “If we’re unseeded and we play one of the top eight nations, I’d be looking at the possibility of around six of those being home ties and two of them being away ties,” Hewitt said. 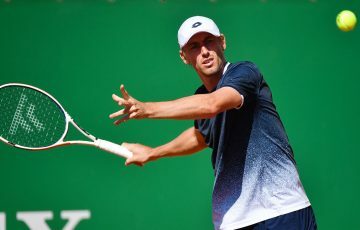 Belgium, runners-up to Great Britain last year, loom as another tough away prospect, while Hewitt is rightfully also wary of drawing Serbia and world No.1 Novak Djokovic or Britain with an inspired Andy Murray. 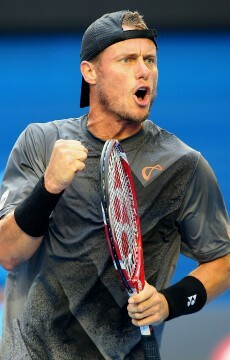 “But we feel quietly confident no matter who we come up against, whether it’s home or away,” Hewitt said. And an even better shot with Kyrgios once again spearheading the team and inside the top 10 for the first time. 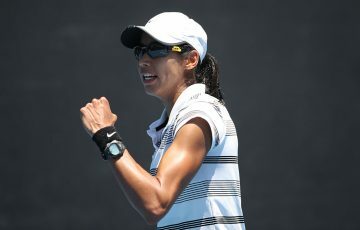 “I think he’ll be thereabouts,” Hewitt said. “He doesn’t have that many points to defend for the rest of the year. “He played well in Shanghai last year but the end of the year he didn’t play that many events so he’s got a good opportunity in the next couple of months. 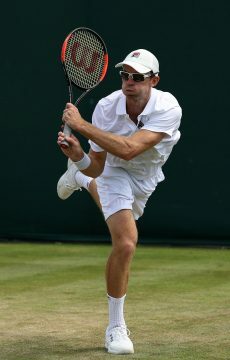 “But sometimes it’s hard to get up for as well because there’s no Grand Slam kind of at the end of it. Australia haven’t had two Davis Cup players in the world’s top 20 since Hewitt and then-Wimbledon runner-up Mark Philippoussis teamed with Todd Woodbridge and Wayne Arthurs to win the trophy 13 years ago. But with Tomic in the top 20 for much of this year before slipping to No.21 for this tie, Hewitt is confident Australia “can go deep” in 2017. “If we can have our two main guys (with) one pushing close to the top 10, the other 15 to 20, it it’s certainly a pretty strong team on paper,” said the first-year skipper.